Thread: Is this refrigerant? R1234Y? Ive never really worked on an AC TBH besides disconnecting a belt tied to it...probably dont want or need to either around here. What year is your Dart? Coolant should be purple. Some early Darts had orange coolant. 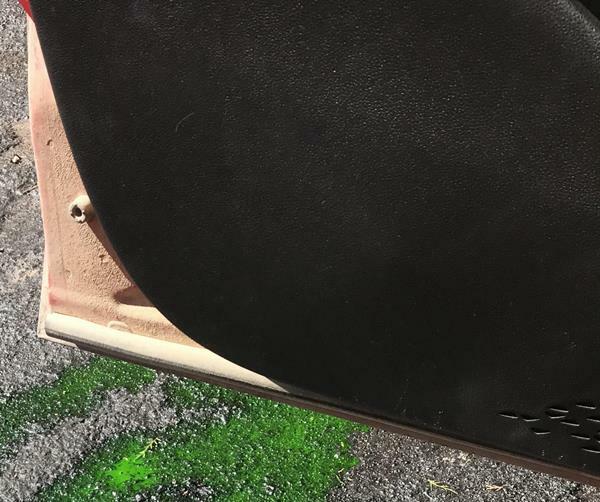 Can you see the coolant level and color in the coolant reservoir when you open the hood? Early Darts had R134a refrigerant. The color of the refrigerant can depend on if it has ever been serviced and if dye was added. How about a pic from under the hood? Refridgerant is a compressed gas so if it leaked out it would dissipate into the atmosphere. It could be the dyed oil in the refrigerant system though. If it smells sweet, then it's coolant. Typically leak detector dye is not that flourescent to the naked eye. Take a small drop on the finger and taste it. Refrigerant oil will have almost no taste whereas coolant will have a sweet chemical taste. Do you still have ac? With that much showing on the ground a visual search for the leak should be easy. Sure looks like coolant to me. AC oil is just that oil. It will not run all over your floor, it will just puddle. Your coolant can be any color, particularly if it has been changed in the past. It's not R1234yf, that would have come out as a gas. Looks like too much to be PAG oil. As others have already stated, that's coolant ... 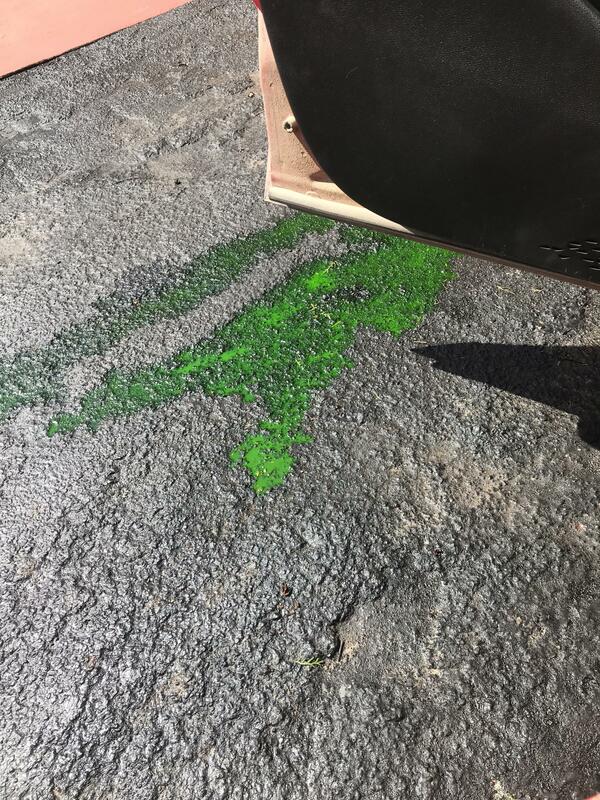 I'm guessing that someone (perhaps a previous owner) must have replaced the orange or purple coolant with green coolant. ... Was your Dart in a flood? I've got over 185K miles on my Dart, and the paint & the rubber bumpers & seals on my doors looks just like it did the day it left the factory ... ??? There's no possible way that puddle came from the A/C system. That's definitely coolant. @Parabolaralus - PAG oil is clear unless dye is added to it. it's not the correct color of coolant so unless someone change it, it should be purple for coolant.